In another example of Vancouver law enforcement getting preferential treatment in the criminal justice system, Detective Jeremy Free with the Vancouver Police Department was pulled over this weekend in Washougal after he failed to stop for a stop sign. Detective Free was with his wife and two children in the car at about 11:00pm on Saturday night. The traffic officer smelled alcohol coming from his vehicle when Free rolled down his window to give the officer his driver’s license. When the officer asked him to step out of his vehicle, Detective Free refused to do so and rolled up his window, effectively avoiding a DUI investigation. At this point the traffic officer did not call for backup units or force him to exit his vehicle. After a standoff, the officer confirmed that his wife was sober by giving her a breath test before allowing her to drive the vehicle home. VPD officers performed a search of Detective Free’s home on Tuesday, pursuant to a search warrant, in order to obtain evidence of the traffic standoff. Detective Free did not comply with officers requesting to enter the home. When officers finally entered, Free was standing inside with a handgun foe close to 50 minutes before finally dropping his firearm. Detective Free was then arrested and charged with Negligent Driving in the First Degree and two counts of Obstructing a Law Enforcement Officer for the traffic incident along with a traffic ticket for failing to stop at a stop sign. 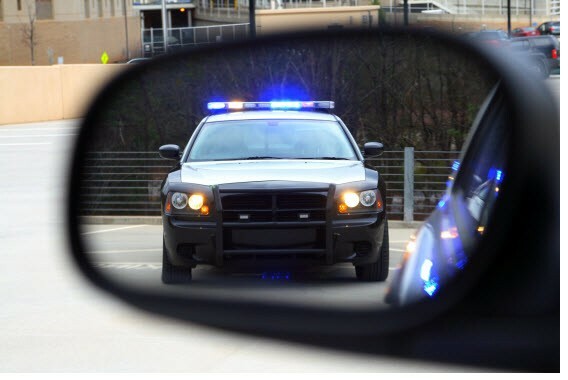 Negligent Driving in the First Degree in Washington is a gross misdemeanor. The crime simply means that you were driving a vehicle after consuming alcohol and drove in a negligent manner. Free was released from jail that night. He is on paid administrative leave. Jeremy Free was in the news last year for groping prostitutes during a sting operation. Let’s see if the department finally fires this guy.